Our Mission: We support military and first responders, and their families, by providing a safe, confidential, therapeutic environment that promotes healing through deeper connections and improved relationships. 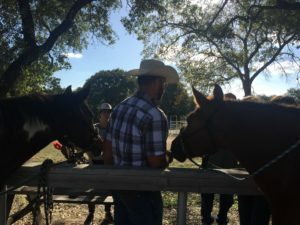 We are a 501(c)3 registered with the state of Texas, located on peaceful and private 15-acre horse ranch, just north of Austin, in the Texas Hill Country. Want to know more About Us? 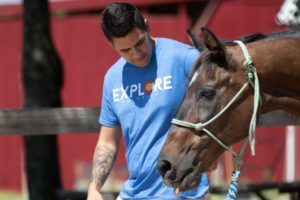 Click here for more on our horse therapy program. Our licensed and certified teams of therapists are trained in trauma-focused equine assisted psychotherapy, utilizing a science-based modality; Natural Lifemanship. Contact us today to come out for a tour or register to experience something life-changing!